Bunny absolutely LOVES the Joovy Hook high chair! We have a traditional stand alone high chair that we used when Bunny was smaller. That high chair is always in the way. I am constantly moving it so I can put dishes away, sweep and mop, get into cabinets. There is never a good place for the stand alone high chair to be when its not being used. 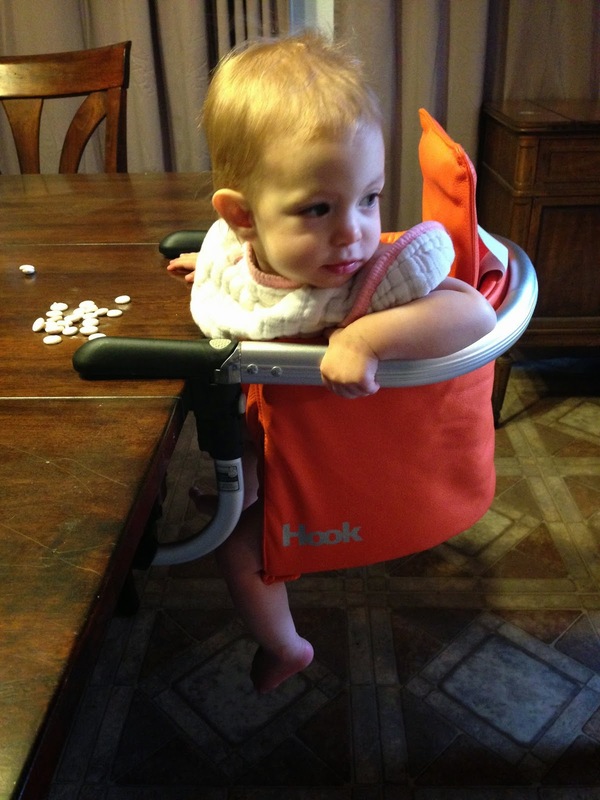 When the Joovy Hook high chair is not being used, it is not in the way! The Hook can stay in the same place all day long and not disrupt my life! It actually is very helpful! I can do dishes, clean the kitchen, prepare dinner, all while Bunny is happily sitting in her Hook. I think Bunny really likes the Hook because she gets to sit at the table like the rest of us! Bunny’s cousin loves the look and design of the Hook, he thinks she looks like she is floating and wishes there was a cool chair like this for him. Joovy Hook is extremely easy to use. It is very simple to put on the table and just as simple to take off. 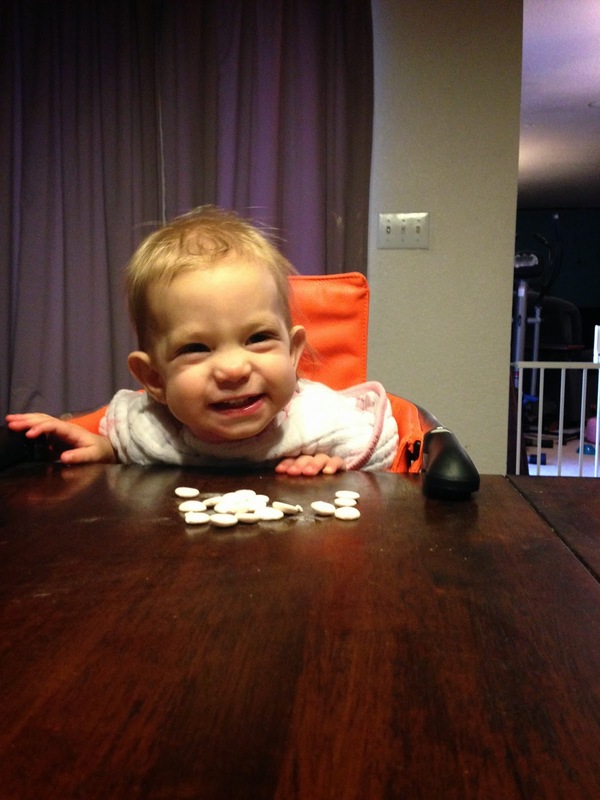 All it takes is a couple buttons and you have yourself a high chair! 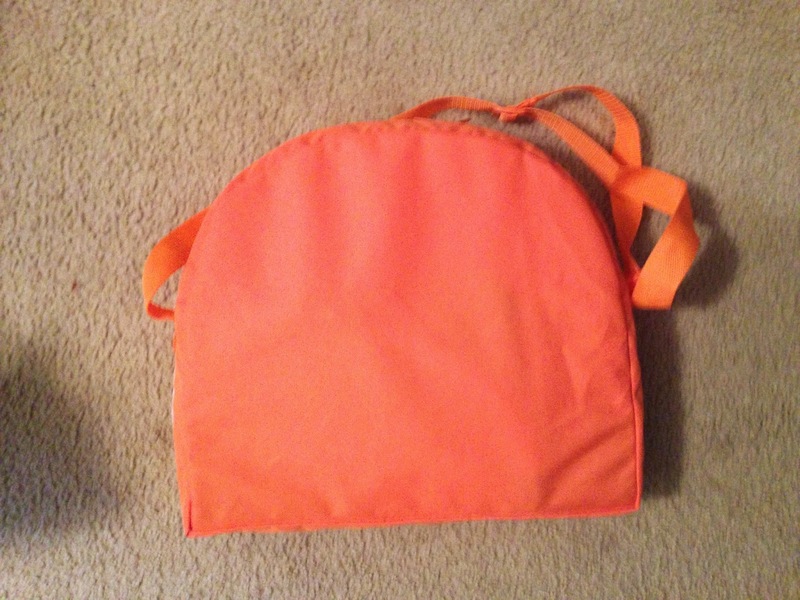 Joovy Hook comes in a compact carrying case that fits in most diaper bags. 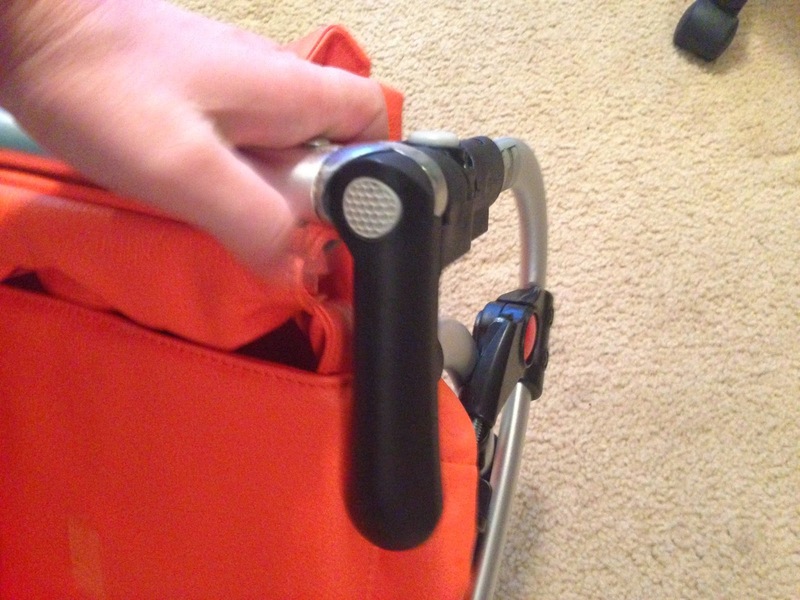 When Joovy Hook is in the carrying case it measures 15.25 x 13 x 5 and weighs only 5 pounds. This makes it the perfect traveling high chair. 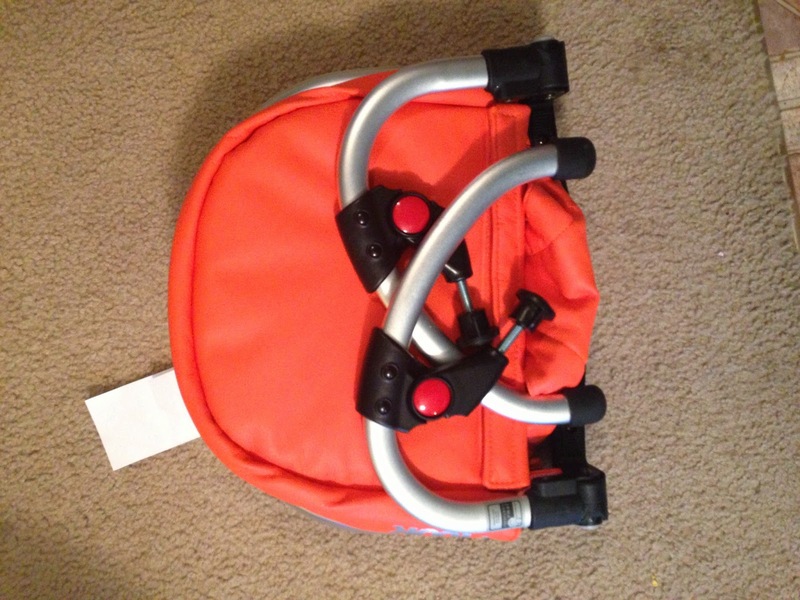 It is light weight and easily fits in luggage or a diaper bag. The best part is, it actually fits BACK into the bag! I don’t know how many baby product I have that come in a nifty bag but are impossible to fit back into that nifty bag. To unfold the Hook you simple press 2 sets of buttons. The first set is on the side of the Hook and, when pressed, allows the “arms” to fold out and away from the Hook. You do this on each side. The second set of buttons is on the top of the Hook and, when pressed, allow the “arms” to rotate out and in front of the Hook. After the hook is unfolded, you simply position it on the table you want to use it with and tighten the bottom “screws” until the Hook is completely level with the table. To take the Hook off your table, you simple unscrew the “screws” and fold the “arms” back in. Just like that, it fits back into its carrying case! 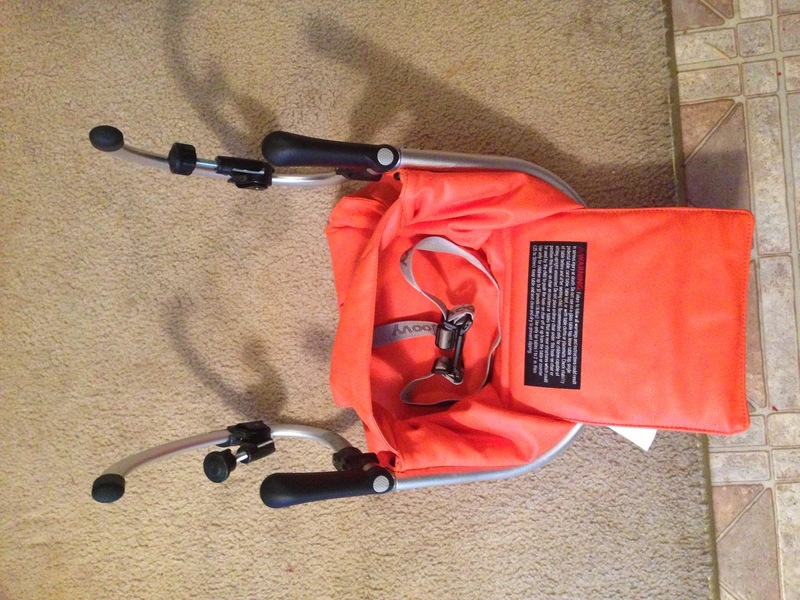 The Hook has a 3 point harness system, is made with leatherette fabric which is very comfortable and easy to clean. You simply wipe the surface of the Hook with a damp towel. 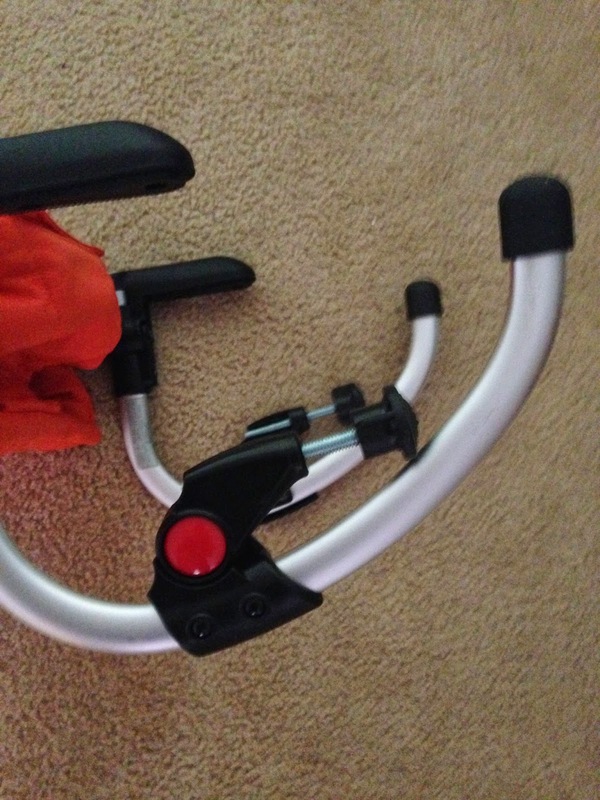 The “arms” on the Hook have rubber non slip grip pads which protect your table from being scratched by the Hook. 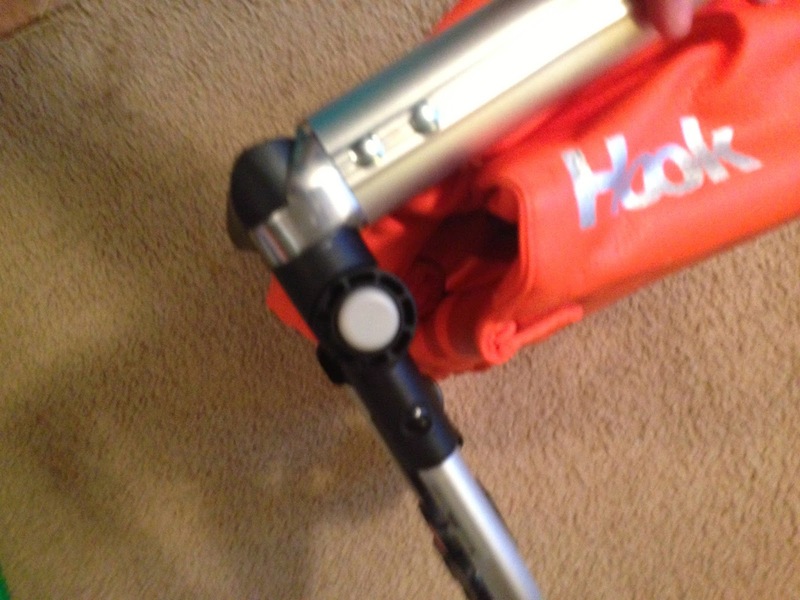 The Hook can hold up to 37 pounds. 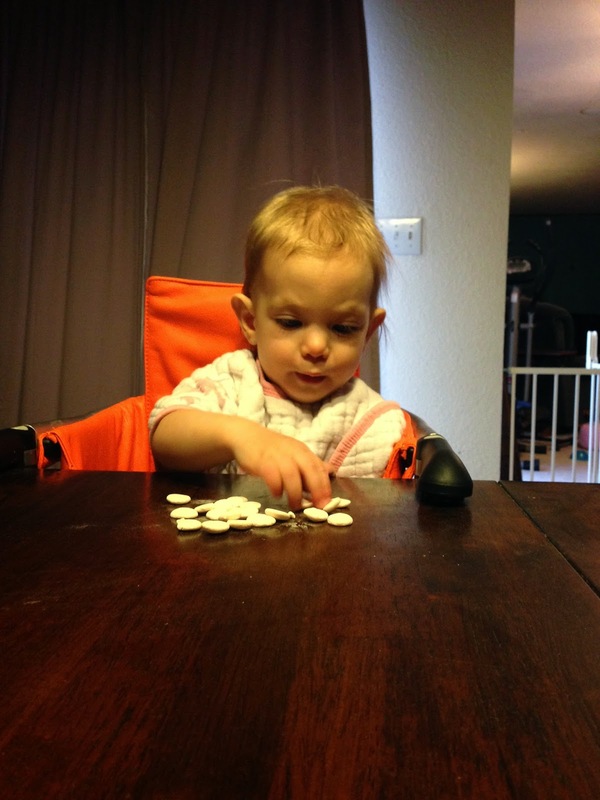 Bunny is 20 pounds at 15 months old, she will be able to use her Hook until she is old enough to sit in a regular chair at the table. 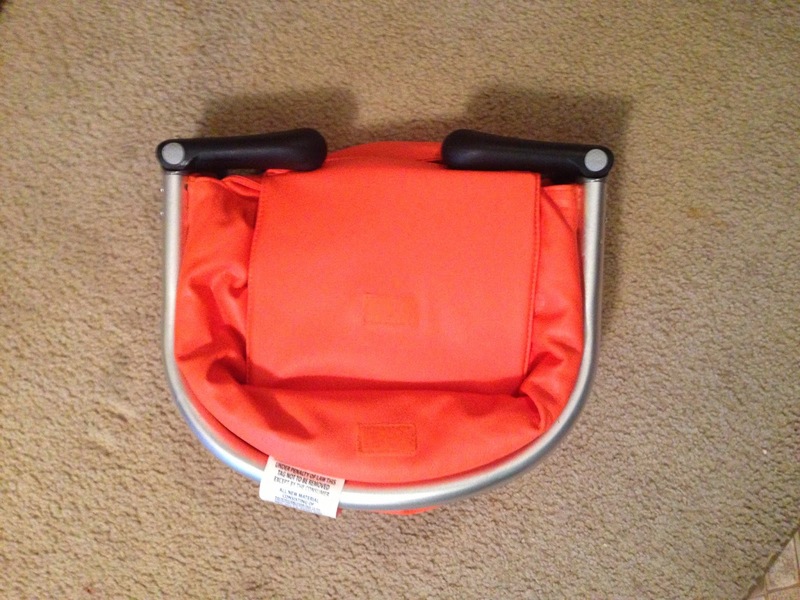 Joovy Hook is a great traveling high chair, and it is also a great every day high chair. It’s compact design allows you to take the Hook with you anywhere, weather it be to a restaurant, Grandma’s house, or on vacation. The sturdy design of the Hook allows you to use it everyday in your home. 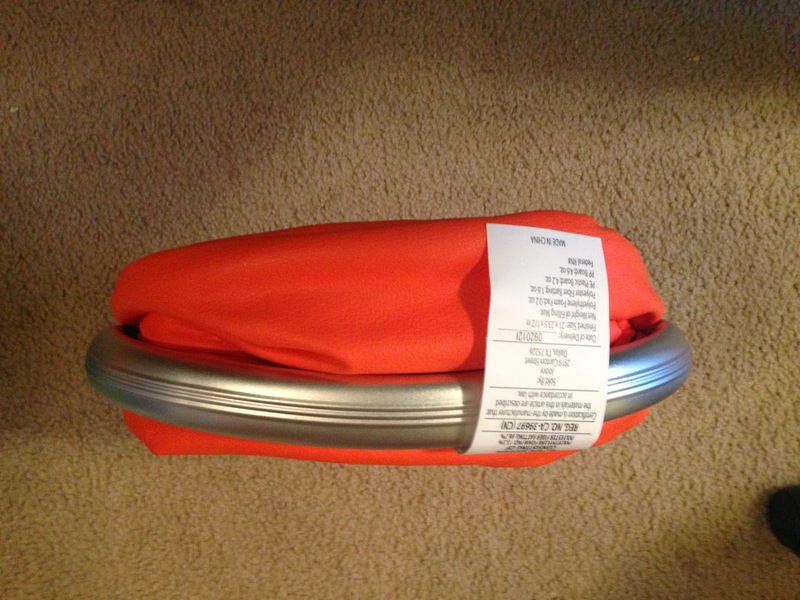 Joovy Hook sells for $69.99 and comes in three different colors (greenie, orangie, and black). You can purchase yours here.